Card. Paul Augustin Mayer R.I.P. 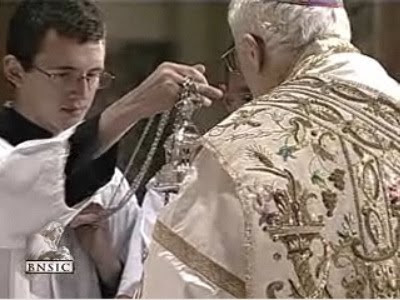 What's So Great About a Procession? 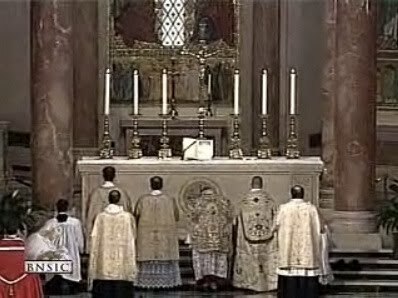 Correction: Pontifical Mass in Washington, D.C.
Is Copyright Necessary for Liturgical Discipline? 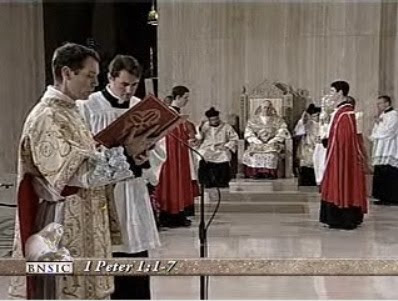 As many of our readers will already be familiar, EWTN is providing live coverage of the Solemn Pontifical Mass being celebrated by Bishop Edward Slattery in the Basilica of the National Shrine of the Immaculate Conception in Washington D.C. 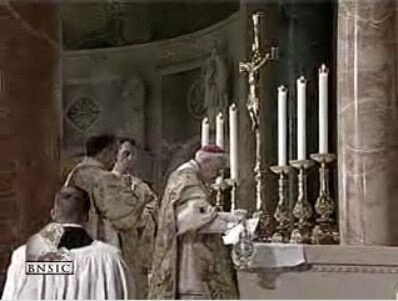 The Mass is being offered in celebration of the anniversary of the pontificate of Pope Benedict XVI. Here are some stills from that to give you a sense of the occasion. 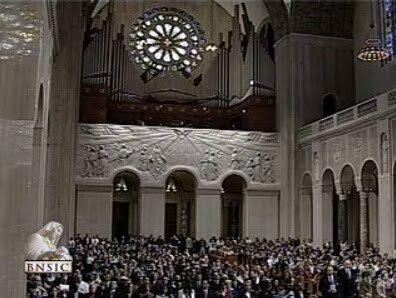 A very nice view of the original high altar of the basilica. 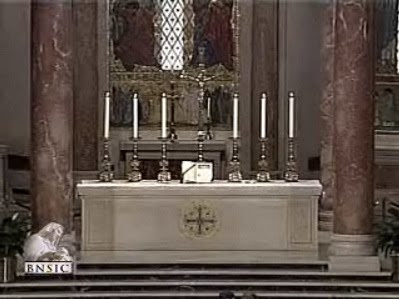 The altar is covered by a wonderful ciborium. 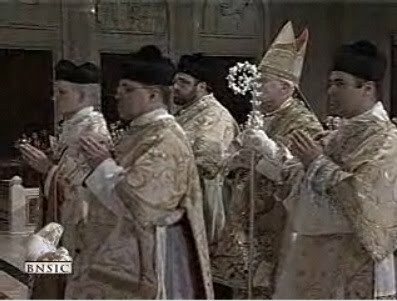 The NLM hopes to provide you more photos from the official photographs that were no doubt taken for the Mass.